You ease yourself into the coziest chair you own, a warm beverage by your side, a blanket over your legs, and the glow of a reading lamp over your shoulder. It’s time to sink into a nice, long session of reading. You pull apart the pages of the nonfiction book you’re working your way through, and you begin a new chapter. It starts with an inspiring quote. Then the author tells a story. Eventually, she comes around to the topic at hand. Now that you’re warmed up, she’s going to share some information with you. What’s the online version of this scene? You click on a web page. Your eyes dart from the headline to the first line of the content. What’s it about? Is it worth reading? Will it take long to get through? Should I spend time on it? Squirrel! 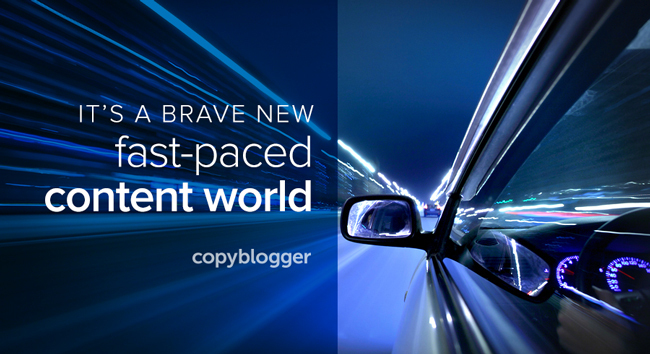 If online content doesn’t deliver within the first few seconds, you click away. After all, you’re not cozying up to it. You’re in a hurry: there’s too much to do, too much to read, too many other websites competing for your attention. We consume online content differently, so as content creators, we have to write it differently. Not only that, we need to design our pages differently to make them easy to skim and quick to consume. Reading online information isn’t like reading a nonfiction book. Online content is a “stop in, learn, and move on” type of medium. No one is throwing a blanket over the legs of your online reader, pouring her a warm beverage, and turning on the lamp near her favorite chair so she can read your web page. We don’t need to pass judgement on this, either. Reading online content isn’t worse than reading a book or better. It’s just different, and we have to adapt to that reality if we’re going to create content in this environment. Let’s take a look at six elements you can use to make your online content easy to consume. Your goal? To write a headline that gets them to your page in the first place. Because all the advice that follows is worthless if your reader never gets to your page. The best headlines feature a promise of what the reader will get from your content — these headlines answer the “What’s in it for me?” question. And ideally, they create intrigue and curiosity, which make the reader want to click. Need to click! They create an “I must know this” sensation. Okay, you’ve got readers! They’ve clicked your headline, and they’re looking at your content. Now, to keep them reading. Once they’ve consumed your headline, your next responsibility is to move them into the body of your content. And the best way to do this is with a compelling, intriguing, difficult-to-resist introductory section. If you use a “more” tag with your content, the introductory section is what goes before your the tag. Here’s where your online content and a nonfiction book will differ: this introductory section isn’t the place to share a long, detail-filled story that warms them up to the main idea. It’s a place to move them quickly into the main idea of your post. You want to let them know what you have for them right away, so they don’t wander off without giving your content a chance. Start with a short, easy-to-read first sentence. Then, present your premise: the assertion you’re going to make in the content they’re about to read. Your introductory section sets the stage, and you want to nail the opening to hook readers. And if you use a “more” tag, this section needs to be so enticing that they want to click the “Read more” link if they find your post on the front page of your blog. When you have a nonfiction book in your hands, you’ve got the ability to jump to the table of contents to see what’s ahead. Or you can flip through the chapters that are coming up to plan your content consumption. The online content equivalent to chapters in a book are subheads on a page. Subheads let readers know what to expect in the content they’re reading. In many cases, subheads may be all they read. Make sure yours grab attention and inform. You’ve gotten your readers on the page, and you’re keeping them there with a compelling introductory section and intriguing subheads. Now, you need to deliver on the content you’ve promised. Under each subhead, fill out the arguments that support your premise. Don’t dawdle: get to the point as quickly as possible. Yes, we know. “Skimmability” isn’t really a word. But it should be, shouldn’t it? Skimmability (noun), the quality that makes online content easy to read and consume. To make content easier to skim, you need to format it for maximum readability. Well-formatted online content shouldn’t look anything like a book. If it does, you’re doing something wrong. It should be broken into easy-to-digest chunks, so online readers can absorb it quickly, and so you can hold their attention until the very end. The best online content encourages people to take a next action at the end. You have a lot of options here. If your readers have made it to the end of your online content, they’ve shown commitment to the topic: Don’t waste this! Redirect their interest to the next thing you’d like them to do. It’s a brave new world here on the Internet. The way we wrote for books doesn’t work here. The way we wrote for magazines doesn’t either. We need to find a new way: a way that accepts and embraces how we read online — and conveys our ideas so they’re easy to understand and consume in this new environment. As the internet becomes more visual in nature, you can use them to engage readers on a whole new level. Register for my free visual content marketing workshop and discover how it works.